The Handyguys talk to Wayne Gilchrist from http://www.ezdiyelectricity.com. 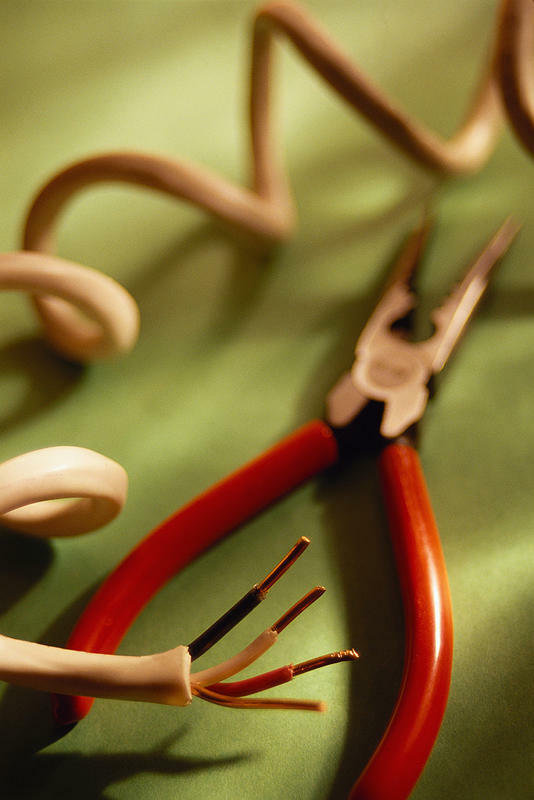 How does a homeowner get started working with electricity? Both of the Handyguys have done a lot wiring over the years, whether on their family home or as volunteer work for someone in need. While we both understand the basics of home wiring, we are not experts in the field (as a matter of fact, we are not experts in most fields). Â Since electricity is more dangerous then seeding your lawn, we thought it would be nice to have a master electrician on the podcast to give us his perspective on the handyguy and home wiring. Do not tackle major projects such as connecting your service panel. Always, Always, Always, Always turn off the power before working. We asked Wayne about Â the use of cheap outlets with back stab connections. Â We also also asked about questions our listeners had regarding dimmers switches and 3-way switches. Listen to the podcast to get all of Wayne’s answers to our questions and to learn more about his services. We did this interview because Wayne offers a great service. This is not a sponsored show and we were not compensated in any way. Love the podcast & website. Given that Wayne was coming at it from more of an electrician’s perspective, I was wondering if you guys have suggestions for a general purpose home wiring/electrical DIY book? Or, if not, where would you suggest I look for trusted recommendations? Thanks! Excellent interview! I completely agree, especially when you said know your limitations. I always say the same thing on my blog – know your limitations! It’s one thing to get a painting job wrong and another to mess up with electricity. Personally, I recommend that the average homeowner only do very minor stuff when it comes to electricity. Hang a fixture, maybe even a ceiling fan, change a switch or an outlet – that is about it! Thanks for commenting, glad you likes the interview. I have been learning about electricity, enough so that I am considering becomming an electrician. There are some things I am still trying to understand. I know that the white wire is the nuetral and for normal 110 it is required to operate an appliance as it is the return path for the AC current. I think I understand that for 220 you do not need the return (if they are in phase-properly wired together in the box ) as each of the 2 hot wires (black and red) act as the return for each other. I also understand that the white wires connect to the ground at the main electrical box. I am somewhat puzzled at the fact that we are warned about the possibility of a hot nuetral or hot ground but here we are wiring the nuetral and ground together. What is keeping the ground from acting as the return and therefore causing an electrocution hazard? Eddie – This is why we introduced Wayne to our listeners. Your questions would best be directed at an electrician. I’m not sure you are correct in your understanding of 220 or I am not. My understanding was the ground in a 3 wire and/or the neutral in a 4 wire was the ‘return’. Readers – please do not take what either Eddie or The Handyguys say on this as gospel. Consult an electrician. Michael – Check out our show about our favorite books.